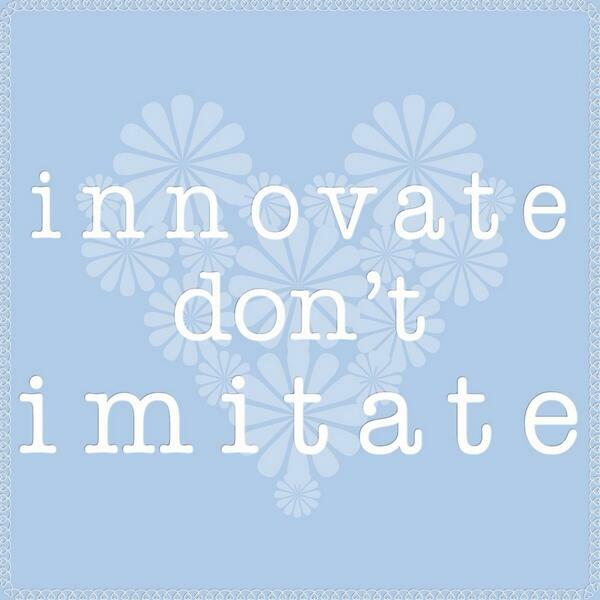 Imitating and succeeding – the best form of flattery. – BID Inc. Do Good Work. I am in a nostalgic mood today as I reflect on how long it’s been since going back to work for the Government of Canada and the state entrepreneurship was in before I decided to go back. It’s been 2 years since I left the world of entrepreneurship and set aside my passion for supporting small businesses on Prince Edward Island in exchange of a more secure and reliable form of income. It’s bittersweet as I’ve really enjoyed my return to Government and have carved a path for myself – the forever innovator who is always looking to make things better. However every now and then, I wonder how things are going in the world of entrepreneurship on PEI. I was interested to see the Provincial government implement my idea of a business incubator (Startup Vibe) for startups in downtown Charlottetown. I had been lobbying the government, stakeholders and non-profit organizations about the need to provide a nurturing space for startups for two years. I shared my business plan, my proof of concept and met with CABI (Canadian Association of Business Incubators). In the end, the province decided to go their own way, financially support the business incubator and the Startup Zone was launched in 2016. They even used most of the design elements including the green and white font. I was surprised and flattered, especially since I was told the province was not interested in launching a business incubator and here they were doing what I set out to do without the capital to do it. They are even coming around to the fact that immigrant entrepreneurs require a unique kind of support, one that I researched and proposed as part of my original project when I graduated from UPEI from the EMBA program. I could be upset and vocal about what the province did, but in the end, PEI needed a business incubator – and it actually has a good one with strong leadership. So kudos for copying! As for me, I never stop looking for ways to innovate the environment I’m in. While the Province of PEI was taking my work and running with it, I was able to pursue a different sort of entrepreneurship – intrapreneurship. Once I got back into the swing of public service, I was happy to learn that I’m able to be as innovative and passionate in my role as public servant as I was while supporting entrepreneurship. Ten years ago, I would not have thought it possible that I could make suggestions and implement improvements based on my analysis and innovative ideas. Today – this is very much the reality of the work that I do. I work in Service Management where my department provides the infrastructure support to keep the Government of Canada serving Canadians. We have gone through many challenges, and progress is sometimes extremely slow, however I am feeling an energy amongst my public servant peers – to innovate, be creative and solution-focused. It’s been a very interesting few years as I shift from entrepreneur to intrapreneur, and I’m looking forward to continuing to pursue innovative solutions while supporting our Government’s goal of improving the lives of all Canadians. And who knows, maybe one day Prince Edward Island will launch the next great IT startup out of the Startup Zone and require the assistance of the Government of Canada to take it to new heights. In some way, my little innovations will have contributed to the success of a small business on PEI. Ultimately that’s all I can hope for.